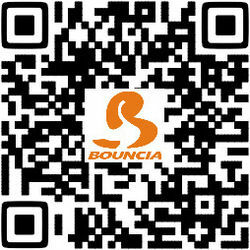 Bouncia was founded in 2009 and now has 7000 square meters factory facility and more than 50 employees. 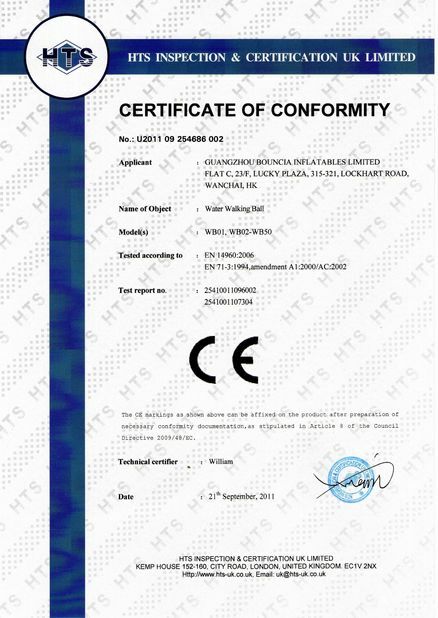 Our quality of inflatable water parks and other air sealed items are at the top level in China and our main markets are the European countries and the United States. Whether you are retailer, wholesaler or individual who is interested in inflatable water park games, we sincerely hope to work with you! 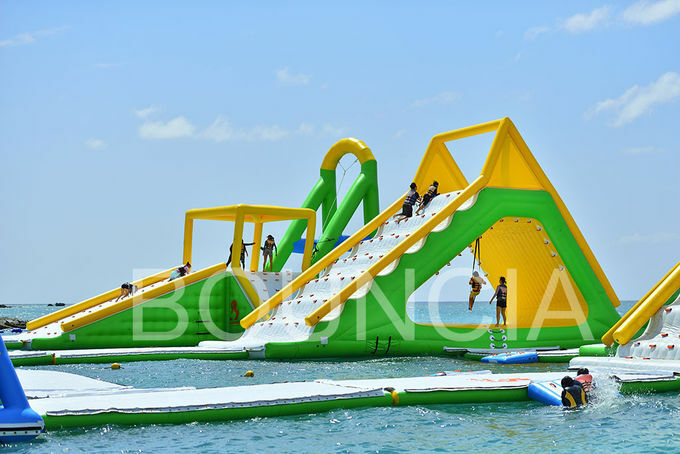 Bouncia use customized anti UV&heat material makes the life span of the floating water park 30%-50% longer than normal material that most suppliers have been using,especially for the strong UV and high temperature area. 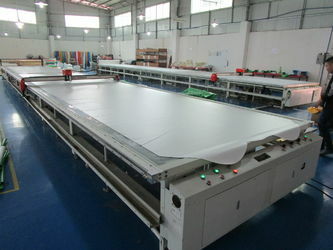 We have rich experience in aqua park customization service. If you want to create your very own park, just send us a drawing of your water area, our designer can design anunique park to fit your area, it’s free! 1)Reinforcement. We make reinforcements at every weak points like welding seams, inside baffles, corners ect. 2)Durable parts. All our parts like handles, anchor rings are welded instead of glue, it’s not easy to peel off. 3)Durable anchor ring. For anchor rings, we always use 316 stainless steel material which last longer than other metal in water, especially salt water. 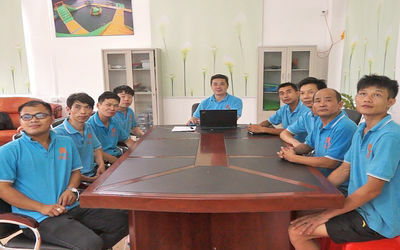 easier and get the cost down, we founded our own factory in 2009.
we also ordered more machines and now the production capacity and annual sales is 4 times bigger than before. Also, since this year, we had been starting working with some famous brand, this helps us improve on some details. 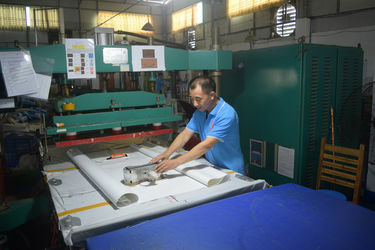 Bouncia is focus on inflatable water sports and other airtight inflatables, we are more professional than those factories who make all kinds of inflatables. 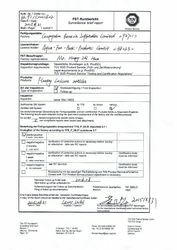 we not only provide products, but also can provide sulotion for you. 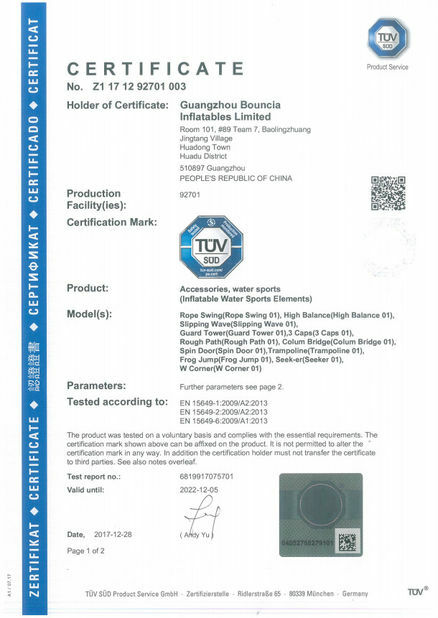 If you can not find proper item for you, you can tell us below points, then we customize water park for you, just like we did for Harrion water sports in Canada. 1) Where do you want to install the water park, lake, sea or other area? 2) What's your water area? 3) What's your water depth? The normal life time for our water park is 3-5 years. 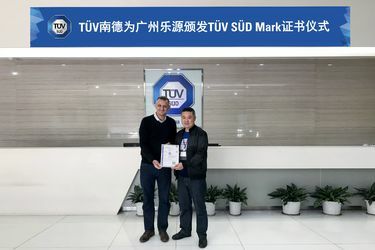 From the date of received the products within 30 days, if there is manufacturing defects that cause product can not be repaired and used smoothly, we will provide a fresh one or make a compensation. 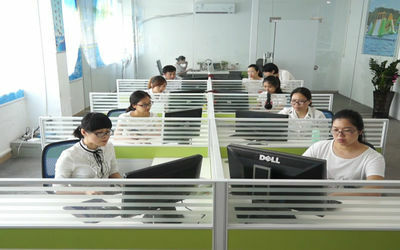 After 30 days, if there is any problems, we will also handle satisfactorily according to different situation.